15 Minutes: Homage to Andy Warhol, just-released by Legary Recordings, showcases 18 artists who either knew or worked with Andy Warhol. Or have been overly influenced by him. Released to coincide with Andy Warhol’s birthday (August 6th), it seems that this wondrous collection is being heralded as the most ambitious multi-artist, multimedia project upon which Legacy Recordings has ever embarked! For 15 Minutes, one of this Fall’s most anticipated box-set releases, comes as a limited-edition 12×12 box set. Complete with a lift-off lid, it is a D2C (Direct to Consumer) exclusive. 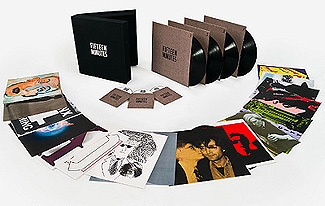 Indeed, there will be two versions of the 15 Minutes box-set: a Deluxe Edition strictly limited to 85 copies, priced at $20,000 (!) and a Standard Version strictly limited to 1,964 copies, priced at just $600. 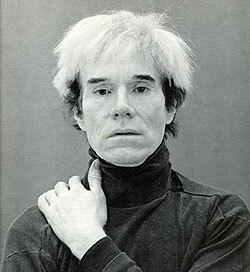 Created with the full approval of The Andy Warhol Foundation For The Visual Arts, contributors include Bob Dylan, Patti Smith, Yura Adams, Connie Beckley, Brigid Berlin, Susan Breen, Nat Finkelstein, Vincent Fremont, John Giorno, Jeff Gordon, Alexander Heinrici, Ivan Karp, Christopher Makos, Billy Name, Carter Ratcliff, Path Soong, Ultra Violet, and Lawrence Weiner. Having been sent a seven-track sampler of the box-set, each contributor is represented by an original recording, ranging from music to spoken word (poetry, reminiscences) to abstract sound. These recordings will span three CDs, and will also be repeated across four vinyl LPs. My sampler began with Ultra Violet's 'Lights,' a song that resonates with you the instant you're introduced to it. Together with its crackle and pops re: old vinyl at its finest, the song is transcending, ethereal in its reach. Next was Patti Smith's new recording of her poem, 'Edie Sedgewick,' from her original 1972 book, Seventh Heaven. Crisp, clear, it is hard not to listen to it without the hairs standing up on your arm. Next is Yura Adams' piano-driven one minute, trumpet-backed 'Waiting For My 15 Minutes,' a track that shows a New York artist who paints contemporary figurative oil paintings full of movement, and content at her vocally lyrical finest. Then comes Bob Dylan with 'When I Paint My Masterpiece,' a live track that could belong on any Dylan album, any time, any period. Then comes Path Soong's seven minute 'Titles,' a track that, sorry, but just rambles on detailing all the titles of Andy Warhol works of art. Painter Soong is known for her large works in black and white, which have a meditative quality, but here, well, for my money, there's just no call for seven minutes to be taken up by this twaddle! The sampler I was sent rounds out with 'Warhol Soundfield 467' from Susan Breen. Another seven minute track, although (thankfully) not this time in the same vein as Soongs, it is a Response To song. Not quite sure what seven minutes of gently distorted, manipulated speech, gun shots, and translucent sound waves are meant to be "responding to," but that's for you to all know or figure out, I guess! And finally comes Jeff Gordon's 'Uh Yes Uh No,' that comes in, masterfully, at exactly fifteen minutes in length! A song that has around 200 Uh Yes's and around 200 Uh No's back-to-back-to-back-back, I defy anybody not to skip the track within the first repetitively annoying two minutes! !